It’s been something of a giveaway week so why not keep it going? If you follow me on facebook, which I hope you do, you’ve probably seen me share some posts from The Daily Sew. If you’re not familiar with the page it’s a super awesome resource for all things sewing related. It’s full of great sewing tutorials, inspiration, and chatter. In addition to being a great source of information and ideas it’s become a really neat community where you can find other crafty folk. 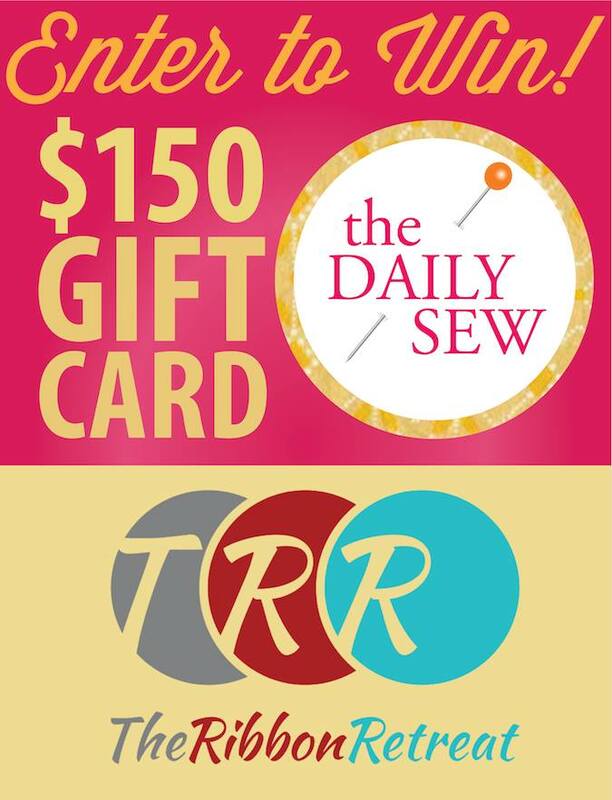 Definitely check out The Daily Sew. All that introduction is to say that today The Daily Sew and The Ribbon Retreat (shop) have gotten together for fabulous giveaway. If you’ve never visited The Ribbon Retreat they have tons of great fabrics and other craft supplies. If you haven’t entered the other giveaways make sure you do that too! I’ve gotten together with 18 other bloggers for a Summer Stash Giveaway and we’re all giving away a TON of craft supplies. 19 prize packs of crafty goodness and 19 winners. And in honor of the opening of The Fault In Our Stars in movie theaters I’m also giving away a TFIOS iron-on as well as a copy of the book. Oh man it’s so good guys. If you haven’t read it yet you need to! Enter to win my The Fault In Our Stars Giveaway. Good luck and hope you have a great weekend!